The mall is currently near to completion. Expected to obtain the occupation certificate by next Month. – They schedule to open the mall on July/Aug. 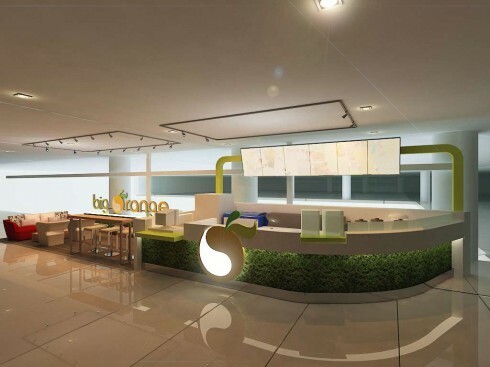 But our outlet is located in front of the cinema ( comprises of 10 cinema ), we shall follow the cinema opening which is on sept/oct. 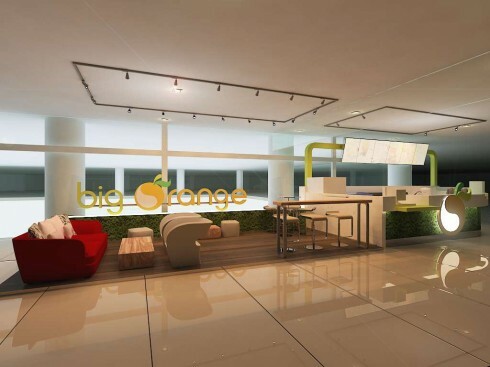 – For this outlet , we tried a little bit different approach on the design n concept. We are having different sitting model which can easily attract customer to dine in hence make it as a crowd puller. 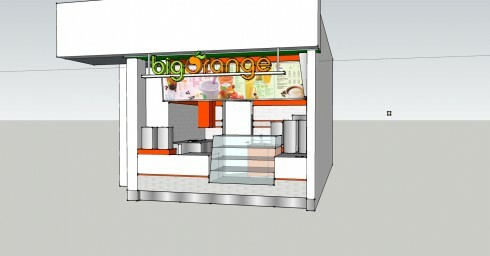 Beside,We will have a real big orange logo located at our counter area and using more green color to represent some fresh feeling ambience for our store. 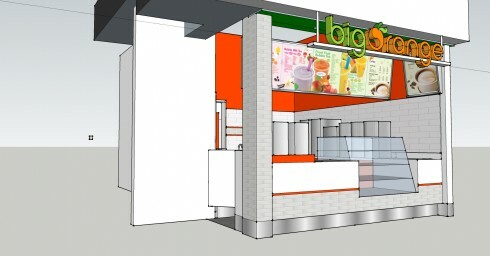 Big Orange at Capilano Shopping Center in North Vancouver will be opening in May 18, 2013.